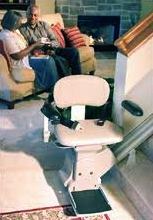 The Bruno Straight Stair Lift Model Electra-Ride LT SRE-2750 is popular in Atlanta, Georgia residences. This Bruno straight stair lift offers a disabled or frail resident of your home a smooth, comfortable and enjoyable ride up and down any straight stair in your home. 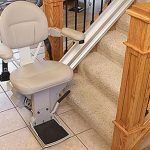 With a maximum weight capacity of 275 pounds, the Bruno Straight Rail Stair Lift Model Electra-Ride LT SRE-2750 has a sturdy and reliable state-of-the-art drive system that creates a very smooth and quiet ride. This affordable Bruno model comes standard with continuously charging batteries easily connected to any household electrical outlet. 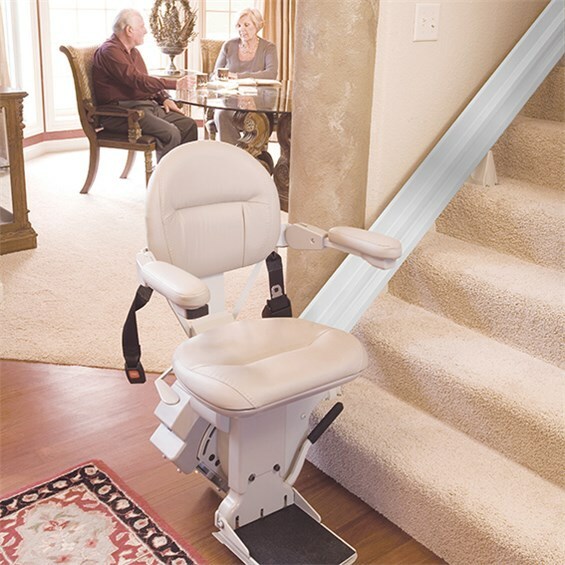 The arms, footrest and seat flip up out of the main stair path to create a narrow profile when not in use. 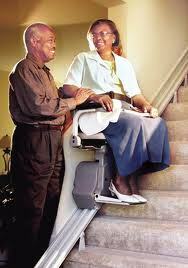 It will automatically shut off when any obstruction is encountered at the footrest or carriage safety sensors. 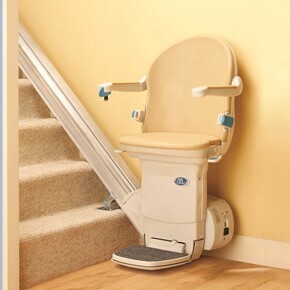 The seat swivels to make accessibility more comfortable, and locks in place for safety during the ride. The following are a few of the facts about the Bruno Straight Rail Stair Lift Model Electra-Ride SRE-2750, widely used in metropolitan and suburban Atlanta, Georgia residences. 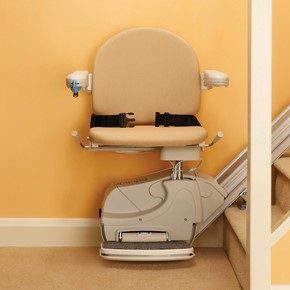 Arms, seat and footrest flip up out of the main stair path to create a narrow profile when not in use. The seat swivels to make accessibility more comfortable, and locks in place for safety during the ride. 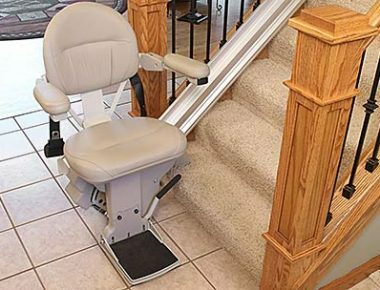 For pricing, availability and installation information on this Bruno straight stair lift, contact Atlanta Home Modifications, LLC at 770.880. 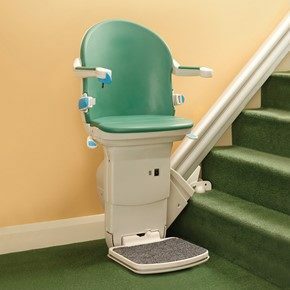 3405 or visiting us on the Internet at www.AtlantaHomeMods.com The Bruno Straight Stair Lift Model Electra-Ride LT SRE-2750 is an affordable option for a lightweight stair lift model for your Atlanta, Georgia residence. For Atlanta area residents interested in the upcoming TASH Conference ‘No Excuses’, information is available at conference@tash.org or by calling (202) 540-9020. Scheduled at the Hilton Atlanta in Atlanta, Georgia for November 30-December 3, 2011. The TASH Conference “brings together professionals and advocates from every corner of the disability community to learn, share and grow.” It will include many workshops, sessions and presentations on the latest research, best practices and in-depth discussions on a wide range of topics; networking opportunities, and keynote speakers. 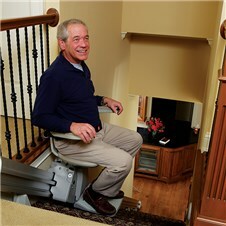 This entry was posted in Bruno Stairlifts, Straight Stair Lifts, The Atlanta Home Modifications and tagged Assistive Technology, AtlantaHomeMods.com, Bruno Stairlifts, metropolitan Atlanta Georgia, North Georgia, Stair Lift Installation Atlanta, Stairlift, Straight Stair Lift, The Atlanta Home Modifications. Bookmark the permalink.